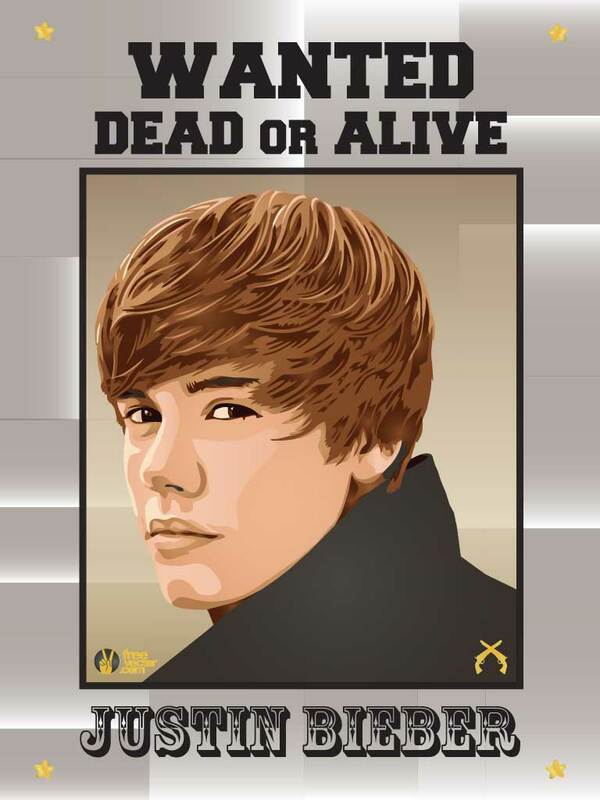 Download this wanted poster style illustration of teen idol Justin Bieber. With millions of adoring female fans Bieber is the flavor of the moment. Tags: Celebrity, Face, Justin Bieber, Pop Music, Portrait, Singer, Star, Teen Idol.